What’s a head louse’s favourite hobby? Here is a summary of everything there is to know about headlice and how you can manage an irritating infestation of the little buggers. The female louse is one busy lady. She lays six to eight eggs per day — about 150 eggs during her 30-day lifespan. The average child with nits will have about 30 lice on their head. They cannot jump, fly or swim. All they can do is crawl and they do not live on pillows/combs/hats for longer than a matter of hours. They don’t prefer dirty hair. Nits are not a sign of being unclean. How do you know if your little one has nits? An itchy head doesn’t automatically mean your child has head lice. To confirm whether it is or not, you need to comb through the hair and look for a living louse. The best way to do this is by washing your child’s hair with normal shampoo and conditioner, then whilst the hair is still wet- brushing through it with a lice detection comb (this is different from a ‘nit comb’). 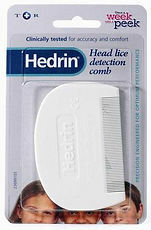 Lice detection combs = Hedrin detection comb (can be purchased over the counter) or Bug Buster comb (prescribed on the NHS). A sesame seed (with legs). 1. Using a silicone based product that (please don’t pity them) suffocates the nits to death (examples include Hedrin, NYDA, Full Mark’s solution). 2. A traditional insecticide that poisons the louse (Derbac-M). 3. Wet combing very regularly in order to physically remove the living lice out of your child’s hair. Neither is an especially more amazing option than the other. All of the above methods will eventually work if done correctly/repeated. Something to note is that people with eczema, asthma, pregnant/breastfeeding women and very young children (6 months to 2 years) should stick to option 2 or 3 (the traditional insecticide/wet combing) as these cause less side effects. All members of the household should ideally be treated on the same day. Children who are being treated for head lice can still attend school. Do inform the school so that they can alert parents of the need to potentially treat their children. There is no need to wash or fumigate clothing or bedding that has been in contact with lice.